Ahhhhh! I have been DYING to share this shoot with you all for SO SO LONG! And today I finally can because we have been featured on Every Last Detail! Seriously, you have to check out the gorgeousness that is this wedding inspiration shoot. Luxmore Grande Estate was the perfect backdrop to my vision. Classic, elegant, timeless, and just plain pretty! And don’t even get me started on those florals from Flowers By Lesley! She did a stunning job. Really, everyone involved did. The invitation suite, the hair and makeup, and the cake were all just what I had imagined. I couldn’t have asked for more. So, without further ado, here are the images I’ve been dying to share. Everyone STOP what you are doing and go check out the newest edition of Orange Blossom Bride magazine right here! Kristen & Richard's beautiful Banyan Estate wedding is featured in the magazine on page 37. We absolutely adored photographing this wedding. It will go down in Flora Bloom Photography history as one of our favorite weddings ever. Kristen and Richard are so sweet and were just the best to work with! Add to that an absolutely stunning wedding, and what's not to love!? Planning, event design, and florals were done by the talented Julie Miner Events, and we absolutely loved working with Julie! A great vendor team really helps the wedding day to run as smoothly as possible. That wouldn't have been possible without her. If you'd like to see our full blog post on this wedding, click here. Are you looking for an Orlando wedding photographer to capture your big day? Click here to schedule a coffee date with Amanda and Miguel! This shoot is probably my favorite styled shoot I have ever been a part of! 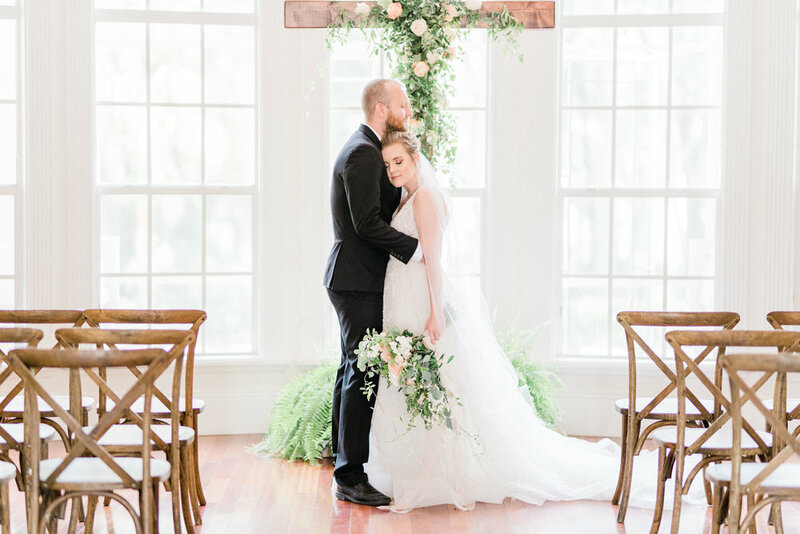 The details were gorgeous, the venue was perfect, and everything turned out amazing! The vendor team on this inspiration shoot did an incredible job. My oh my do I have a beautiful shoot for you today! This styled shoot was put together as a celebration of my new brand. I wanted to incorporate beautiful soft colors and lovely florals. The vendor team on this was to die for, and I am so happy with how it all came together! The colored stemware is so pretty! I love all the details Your Runway Collection brought to this shoot! Classic white florals are still my favorite. Um, how gorgeous does Kristi look here!? I CANNOT say enough good things about this shoot! I am so so so lucky to have been a part of it with all of these amazing vendors. Amanda from Orange Blossom Bride wanted a fun and vibrant summer inspiration shoot to include in the very first issue of the new Orange Blossom Bride magazine (which you can see here), and this vendor team most definitely delivered. If you are in need of a photographer for your Orlando wedding, contact us here.